“We talked to her and she was okay. If she had any kind of problems, she would have let us know,” a family member told CBS affiliate WJTV. Brown was three or four weeks pregnant, her family says, and had no previous health issues. She was being held at the Madison County Detention Center, where she was awaiting trial for a felony charge of trafficking a controlled substance. It’s not clear whether Brown couldn’t make bail prior to her trial or was denied it. It’s also unclear when Brown died. 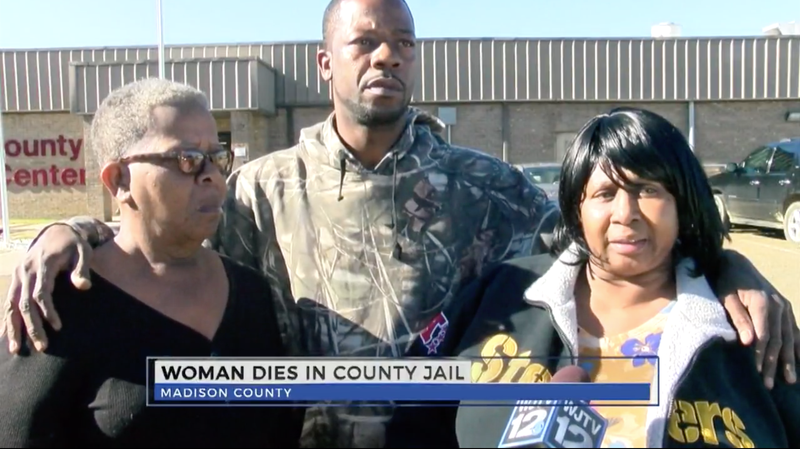 According to WJTV, a Mississippi Highway Patrol Officer delivered the news of Brown’s death to her mother, Margaret Johnson, just two days before Christmas. The trooper told Johnson a nurse found Brown unresponsive in her cell after going to perform a wellness check on her after she complained of stomach pains. “They did CPR on her over and over ... still didn’t get no response ... So he just said she was gone,” Johnson said. That’s been the extent of what they’ve been told, the family says. They tell WJTV they’ve been turned away twice by the detention center, and haven’t been able to identify her body. At this point, the family says they suspect foul play. A spokesperson for Madison County Sheriff’s Department, Heath Hall, confirmed Brown’s death and said the Mississippi Bureau of Investigations had taken charge of the case. While criminal justice advocates have drawn increased attention to the treatment of inmates across the country’s jails, Mississippi’s record this year has been particularly awful. The state has one of the country’s highest incarceration rates, and in August alone, 16 prisoners died under state custody, reports NBC News. Mississippi state officials say most of those deaths were due to “natural causes” and that the numbers did not represent a spike in inmate deaths. According to Business Insider, Brown and Marcus Anthony Redrick were arrested in November after being pulled over with 103 pounds of marijuana. Brown was charged with “trafficking in a controlled substance”—a crime that is punishable with up to $500,000 to $1 million in fines and 30 years in prison.